With dresses it’s personal, but given timeless elegance with a touch of vintage or eyeball hogging extravaganza the first will win every time. Like Laura Dern in Calvin Klein by Appointment pure cool, sleek understatement. Looking with new eyes, never is the difference between men and women more visual than on Oscar night, hashtag – when will we see a man in a dress? This is Gal Gaddot in Givenchy with just the right amount of flapper girl swing. 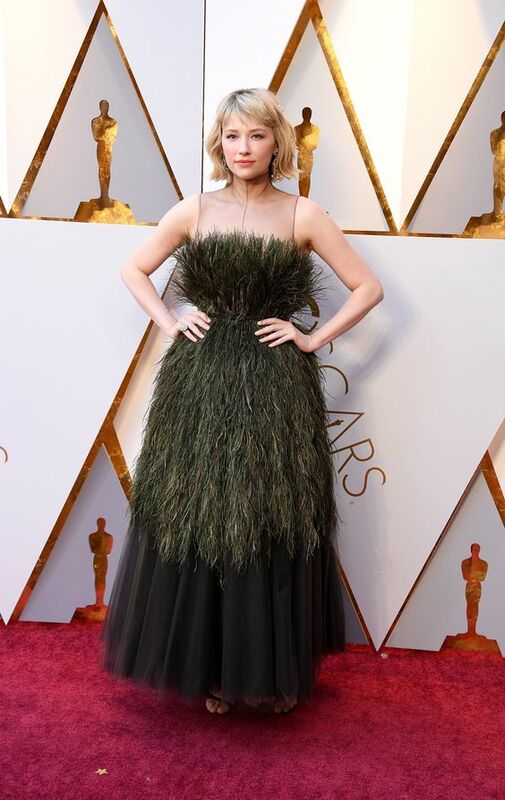 2018 marks another year with little experimentation, hence Haley Bennett in Christian Dior makes my best dressed list. A brave choice and with any luck, the current PC storm will suppress any bush trimming innuendos. Who knows? Zoey Deutch in Elie Saab Couture sneaked in because it shouldn’t work, but it does. 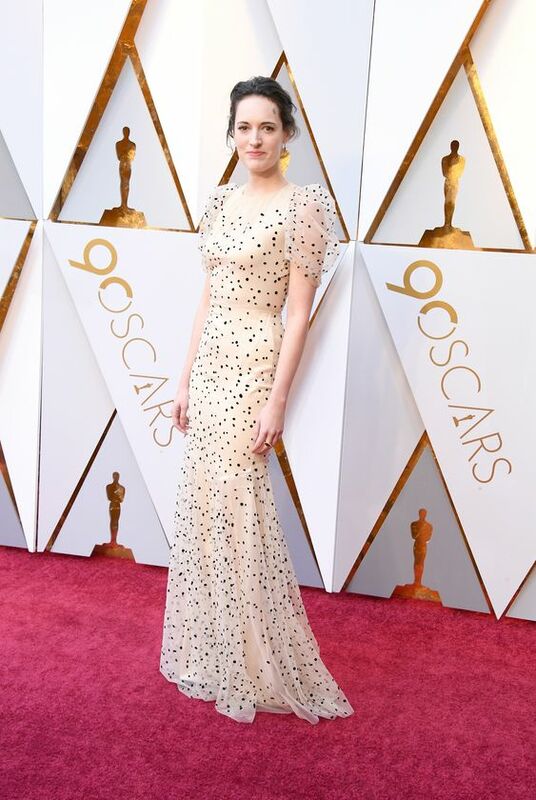 Phoebe Waller Bridge, a particular icon of mine, looking demure in Vionnet. Except I lay good money she chose the print to match her beauty spot and trod the carpet giggling inside…Go Phoebe!